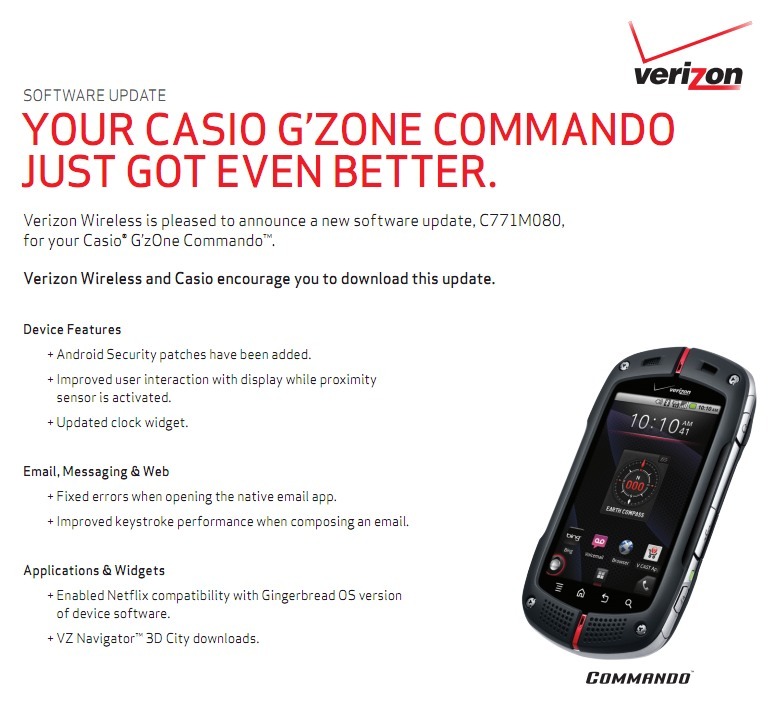 Every time I type the words “Casio g’z0ne Commando” I feel like throwing on some wet gear, boots, CamelBak, and crushing the wilderness. It just looks like some kind of a “man” phone. Funny thing is, our reader who tipped us to the update said that “his wife’s” phone is the one that received it. So what’s included? A security patch, better proximity sensor interaction, native email app fixes, Netflix compatibility added, and 3D city downloads through VZ Navigator.